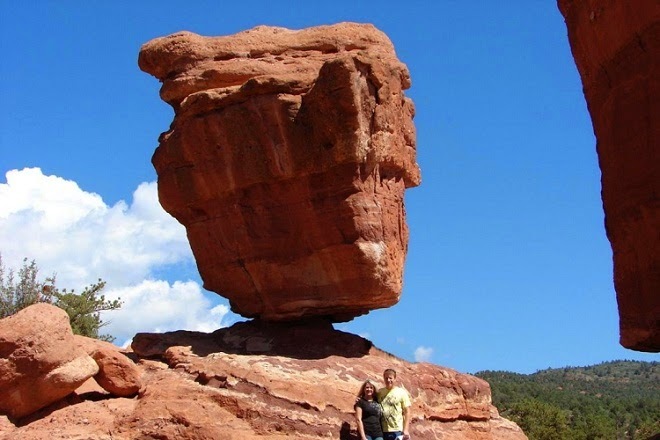 This rock stays at the Garden of Gods near Pike`s Peak at the Colorado springs, Colorado. The rock stands over a paved access public road and The rock is located around beautiful landscape. Hopefully, no earthquake will shake the tiny foundation beneath it. 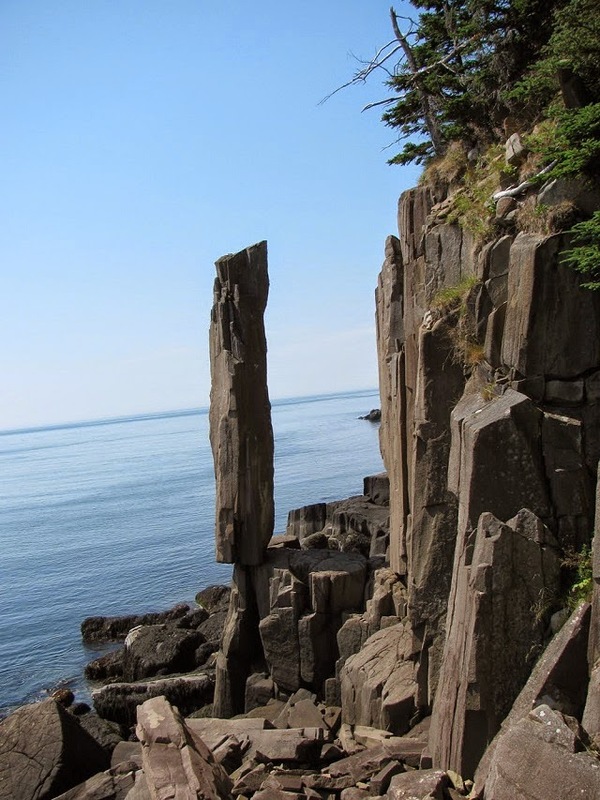 This rock is a 30 feet high horizontal columnar basalt at the Nova Scotia, Canada. What make the balancing rock amazing, around 50% of the rock column stands over the air. 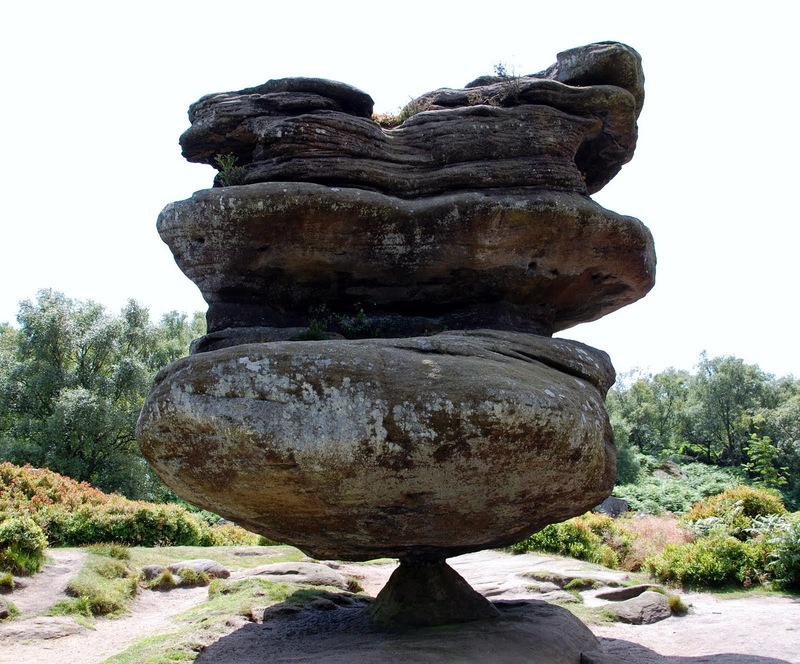 Idol rock is a family of several balance rocks that scatter around 50- acre of Brimham Moor area, North York shire, UK. Idol rock is around 200 tonnes and it is only supported by a smaller pyramidal stone. It is unbelievable and outstanding. The small pyramidal stone carries huge pressure from Idol rock and balances the odd shape stone flawlessly. Another family of Idol rocks are The Sphinx, The Watchdog, The Camel, The Turtle, and The Dancing Bear. All these strange , amazing, and huge balanced stone can be found at Nidderdale Area of Outstanding Natural Beauty. 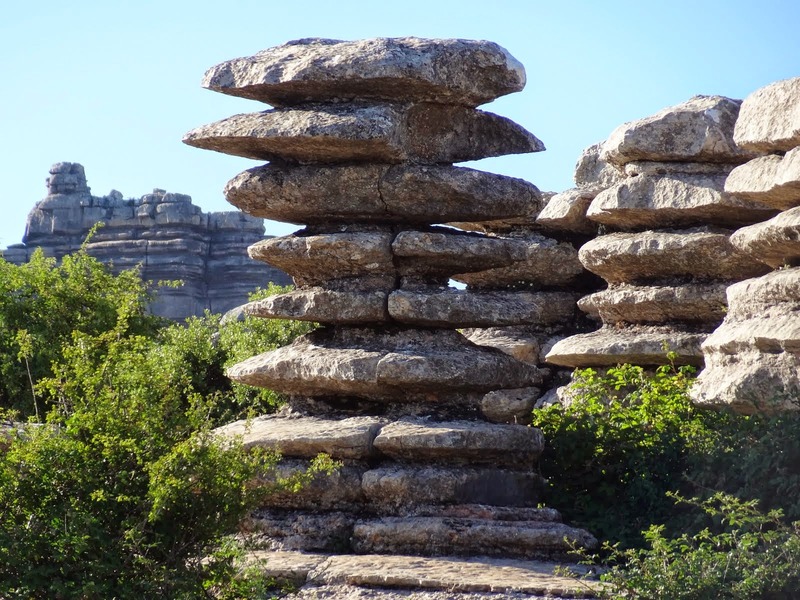 Torcal de Antequera is karst stone towers of terrace limestone rock with horizontal weathering patterns.It is tall, old and stable.Wind, rain and sun have evolved the stone become flapjack stacks that attracts many people every year. 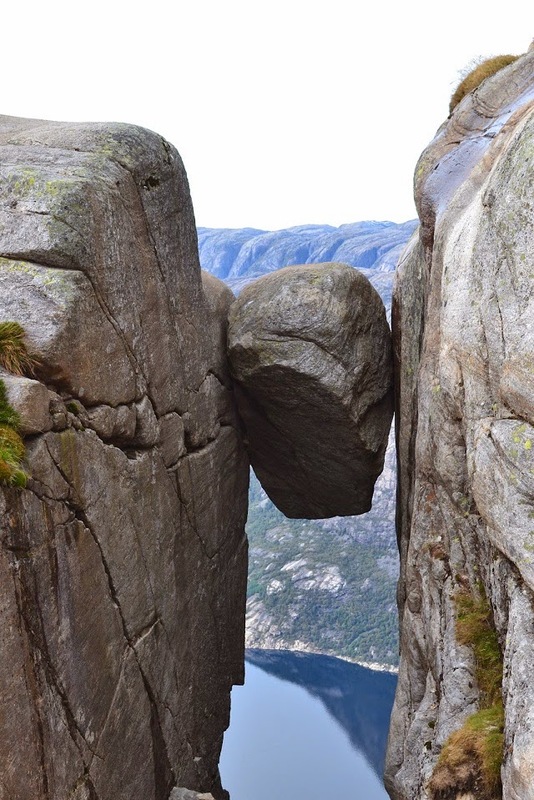 Kjeragbolten or Kjerag Boulder is a 5 square meters (roughly 15 sq ft) rock that is stuck between 2 gigantic wall of Kjerag mountain. The rock is trapped above 1,000 meters air for thousand of years. It is safe to stand above the Boulder. Peyro Clabado or Nailed Rock is located at Languedoc, France. It is eroded granite boulders and rock formations that is left by 300 million years activity of Old mountain that formed western Europe. One of the balance rock is 780 tons weight .One day, around one millennium to the future, the Peyro Clabado will just sand and sediment. The Rocks can be found in Mushroom Rock State Park, at the Smoky Hills region of Kansas. The Mushroom Rock State Park is only 5 acres and it saves old mushroom balancing rocks that are already here since the time of Dinosaurs. The size of the balancing rock is different. One of them is so big so that it looks like a hookah-smoking caterpillar in the movie Alice of the wonderland. 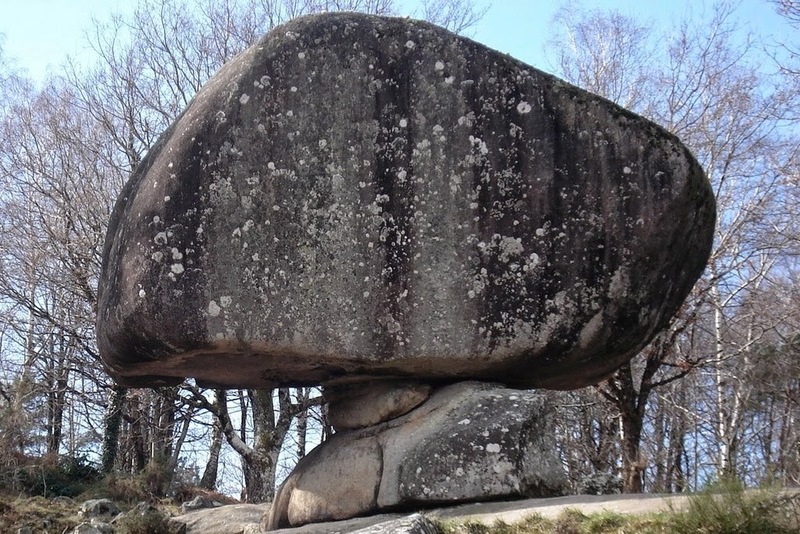 Chiremba Balancing Rocks are typical weathered boulders balancing rock same as what on Sidore-France. It was carved by winds and weather since millions of years before it looks like what we know today. 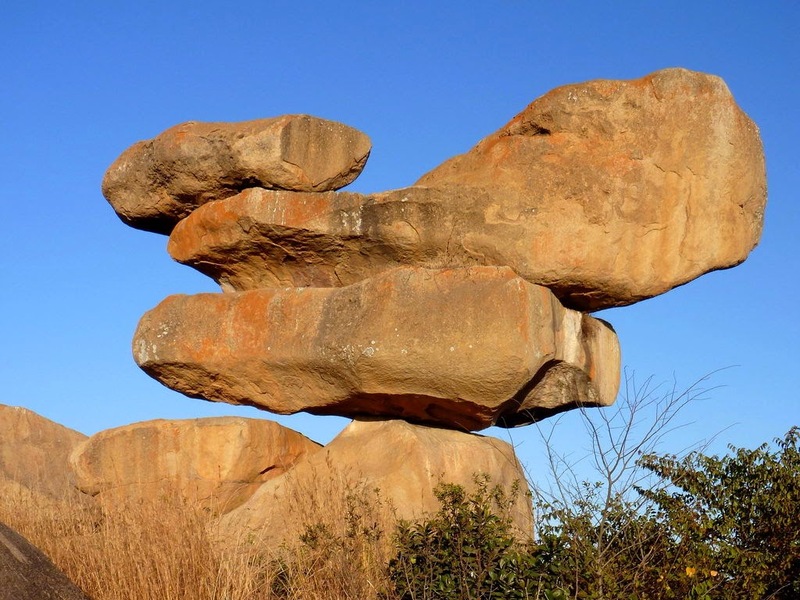 Chiremba Balancing Rocks is located only few miles from Zimbabwe`s capitol or Southeast of Harare. From Distance, the rock is like a sombrero cap of Mexico. 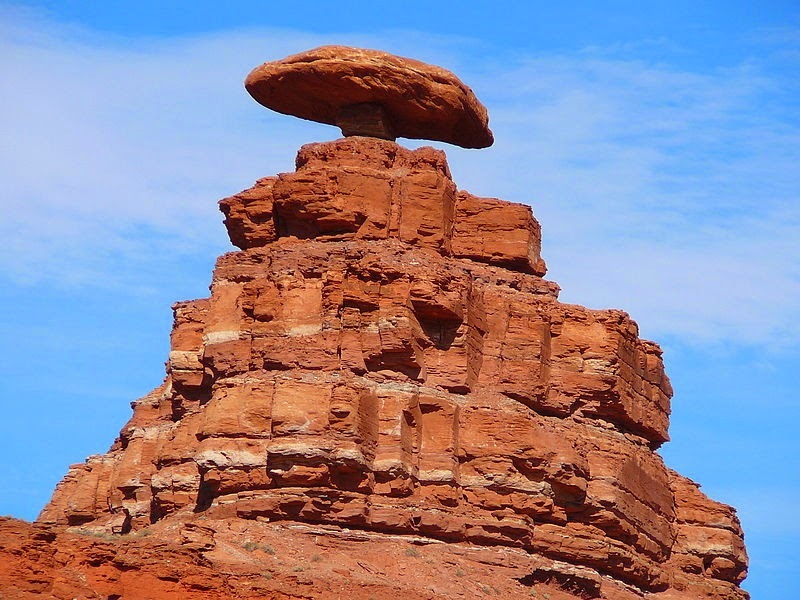 Mexican Hat Rock is the only balance rock that is located outside Monument Valley of south-central San Juan County, Utah. This rock is 60-foot wide and 12-foot thick. It is a red sandstone rock that is still under construction. Soon or later, the balancing cap rock below the Mexican hat is completely eroded.